PotashCorp is one of the largest manufacturers of potash in the world, producing approximately 20% of the world’s potash. Potash, which is mined from natural mineral deposits, is principally used to make fertilizer. PotashCorp also produces nitrogen and phosphate. Nitrogen is used in fertilizer, as well as in chemical and industrial production. Phosphate is used to manufacture food and animal feed products, detergents and other industrial chemicals. With headquarters in Saskatoon, Saskatchewan, Canada, PotashCorp operates 20 production facilities throughout Canada, North and South America, as well as, potash-related investments in Asia and the Middle East. It markets its products in more than 50 countries around the world. PotashCorp seeks to play a pivotal role in providing global solutions for food production while at the same time maximizing returns for its investors and stakeholders. Its chief competitors are Yara International and BASF. PotashCorp began as Potash Corporation of Saskatchewan, founded by the government in 1975. 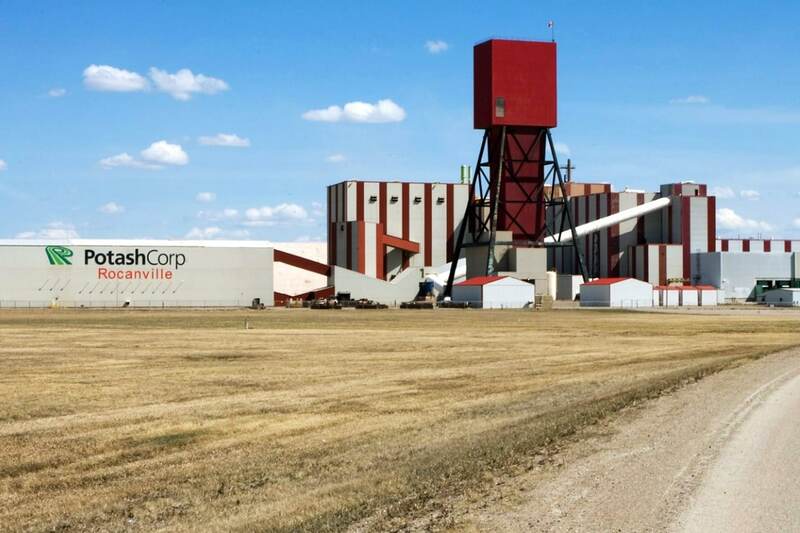 Seeing the promise of success in the potash industry, the Saskatchewan government began operations in the 1950s. However, its early success almost brought about a complete collapse of the market, forcing the government to implement a number of control measures. Ultimately, in 1989, Saskatchewan began to sell off its shares, publicly trading Potash Corporation on the market for the first time. In 1990, Saskatchewan sold its remaining shares and PotashCorp became a private corporation. High-nutrient fertilizer helps farmers to increase their yields. As more of the world experiences drought conditions, the need for high-quality fertilizer to provide much needed nutrients to the dry soil has increased, removing previous reluctance on the part of some growers to use fertilizer. Declining tracts of arable land throughout the world is also amplifying the need for feed supplements, since grazing is becoming more and more limited. The demand for affordable, safe and sufficient food product impacts the need for fertilizers, thus increasing revenue and profit for producers, such as Potash. PotashCorp’s operations are organized into three segments: fertilizer, feed supplements and industrial chemicals. Potash is the primary product of the corporation, representing approximately 70 percent of gross product. It benefits from a natural advantage: more than half of the world’s reserves of potash are located in its home country of Canada, where seven mines are in full operation. Nitrogen occurs naturally, but must be converted to make use of it. Nitrogen accounts for around 10 percent of gross product, and is utilized in the production of resins, plastics, and other industrial products, as well as in fertilizer and feed product. Phosphates are utilized primary in PotashCorp’s industrial and chemical manufacturing operations. Industrial products include: ammonium nitrate, nitric acid, phosphoric acid, and urea. Seeking to build up the communities in which it has operations, PotashCorp funds a number of initiatives in the areas of: education and training, community building, food security, environmental stewardship, arts and culture and health and wellness. Through matching gifts, corporate grants and in-kind contributions, such as supplies, equipment and employee volunteer hours, Potash has assisted many community-based projects that empower and improve the lives of residents.